2nd floor apartment with its own entrance. At Lake Annecy, find this spacious apartment with lots of charm, quiet in a dead end. 2 cozy rooms with large storage. A large room overlooking the mountains. Sun in the morning. Electric shutters. Large fully equipped open kitchen in living room, ceramic glass hob 2 burners, refrigerator with freezer a multi function oven. Salonfauteuil + flat screen. Bathroom with shower and toilet and storage 1vasque. Wood balcony floor exterior, very friendly and very nice view of the large room next .A mountain Lake and another with skylight revealing an incredible view of the lake. Dryer washing machine available. Park your car in front of the house and do not take it back until you leave. EVERYTHING IS NEARBY (walk along the lake but also bike or rollerbladers because beautiful bike path 50m to the lake). We put a fist on the cleanliness. Lovely family holiday in the apartment. It’s modern, clean and well equipped. Really good location close to the lake and a short walk (5 minutes) to the Albigny beach area. Supermarket and restaurants close by, or a nice walk along the lakeside to Annecy itself. Karine was helpful, friendly and quick to respond to any questions. Lovely modern apartment, 5-10 min from the lake front, in a residential area with parking in the side street. Welcome pack in the fridge was much appreciated! Carrefour and cash machine are 10-15 min walk away, and bicycle hire and water sports hire are all on the waterfront. As it was mid August, as expected it was busy, and hot in Annecy. A fan or two may have been helpful- but we managed by keeping the apartment cool in the day by shutting all blinds, and opening up windows in eve. Kitchen well equipped- just had to get used to using an electric cooker compared to our induction hub at home, and making tea without a kettle. Annecy/ Annecy le Vieuw are lovely- evening/daytime walks, cycle around the lake (signposting isn't brilliant all the way round the lake-yet) visit the Fier Gorge (get there early as car park is small! ), sight see the old Annecy, enjoy lake swims and boating.... There is enough for all to do! we had a Lovely holiday in Annecy! thank you. Looking forward to seeing you again in Annecy. Location très pratique et bien meublée. Le lac d’Annecy tout proche. Belles balades. Die Wohnung ist sehr schön eingerichtet und hat alles, was man braucht - zwei Schlafzimmer, Wohnküche, Bad und Balkon mit Blick auf den See. Zum Strand sind es nur wenige Schritte. In kurzer Entfernung gibt es einen Supermarkt, mehrere Bäckereien, Bars und Restaurants. Ins Stadtzentrum kann man entlang der Seepromenade in ca. 30 Minuten laufen. L'appartement est au deuxième étage sous des combles aménagés.Simple,fonctionnel.Manque un peu de surface dans le salon au dessus de deux personnes.Surperbement placé par rapport au lac.Boulangerie et super marché à proximité. Annecy est vraiment une belle ville.Le lac dans son écrin entre verdure et montagne est magnifique. Merci de vos remarques permettant d'améliorer l'appartement. Le salon est aujourd'hui aménager d'un nouveau canapé 3 places et de 2 clubs pouvant accueillir 4 personnes pour un confort optimal. TRES BEL ENVIRONNEMENT. SITUATION CALME. ACCUEIL TRES SYMPATHIQUE. GROS POINT POSITIF POUR LA PLACE DE PARKING QUE LA PROPRIETAIRE DES LIEUX NOUS AVAIT PRECIEUSEMENT MIS A NOTRE DISPOSITION. A PROXIMITE DU LAC ET DE LA PLAGE. COMMERCES EGALEMENT A COTE DU LOGEMENT (ON PEUT TOUT FAIRE A PIEDS). PETIT BEMOL POUR LA QUALITE DE LA LITERIE DANS LA CHAMBRE PARENTALE (UN BZ AU LIEU D'UN LIT 2 PERSONNES DOMMAGE ET NON PRECISE DANS L'ANNONCE). ON S'ATTEND DONC A UN VRAI LIT. 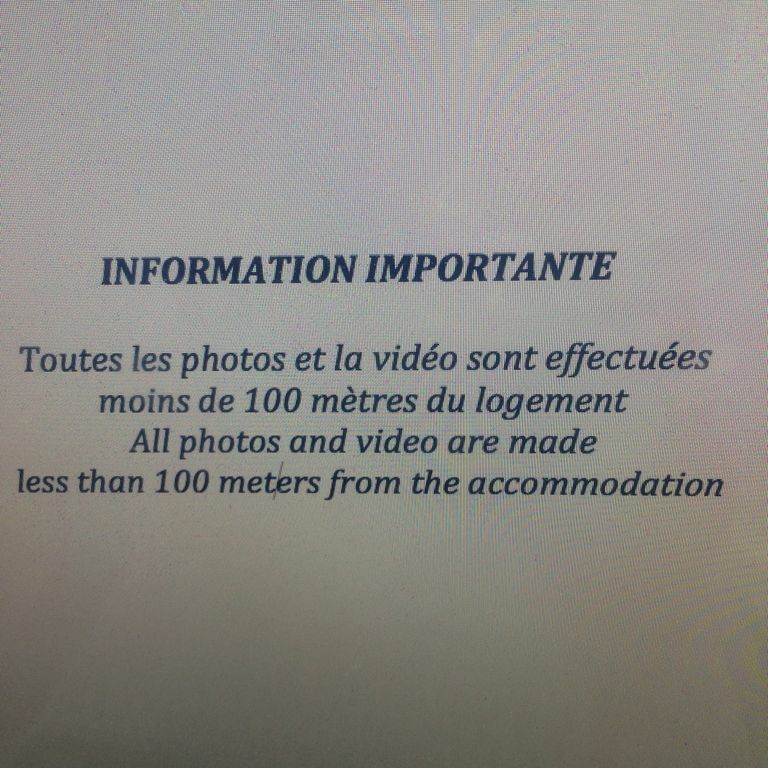 ET SINON, RIEN A DIRE, APPARTEMENT PARFAITEMENT EQUIPE POUR PASSER D'AGREABLES VACANCES. Merci pour votre appréciation. Nous mettons tout en oeuvre pour que vous passiez un superbe séjour (Propreté, confort, jeux..) Nous prenons note de votre remarque qui sera bénéfique pour les futurs locataires. Nous restons disponibles et apprécions vos avis.